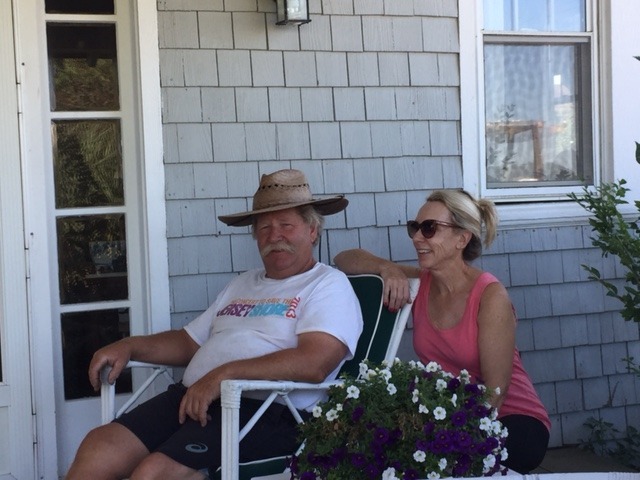 A hundred years ago Sea Bright was just a small fishing village nestled on the sand spit separating the Atlantic Ocean from the Shrewsbury River. The humbleness of the town was in direct contrast to the grandeur of the large vacation homes surrounding it. 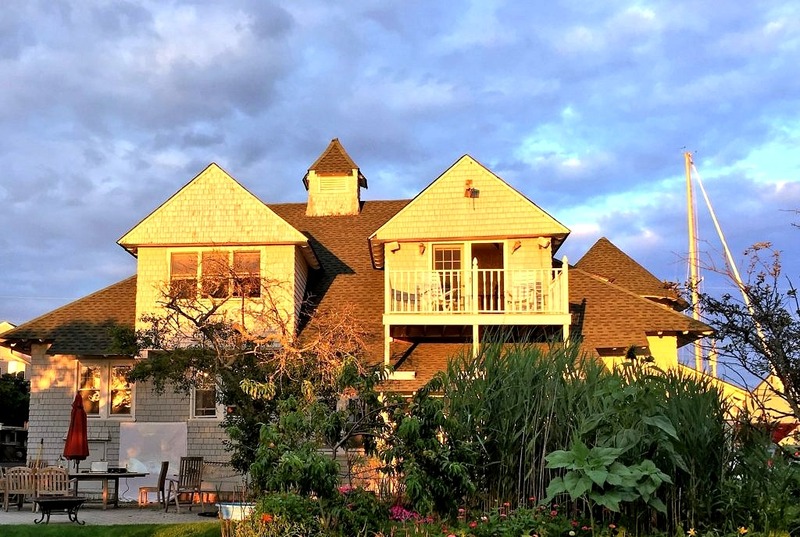 Mainly owned by wealthy New Yorkers, they employed architects, like the renowned Stanford White, to design intricate, multi-storied shingle style houses so they could enjoy the Jersey Shore’s ample sunshine and refreshing sea breezes in comfort. 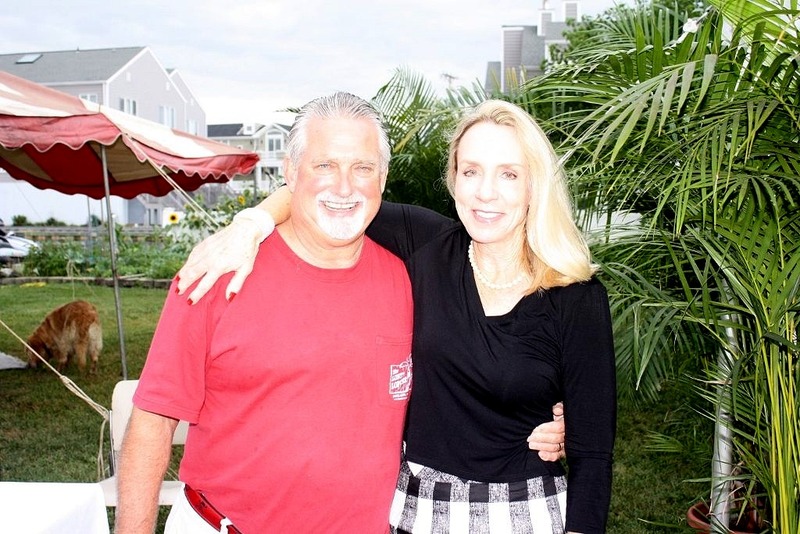 Over the years a combination of high tides, arson, and developers, eager to cash in on the easy charms of salt air and sparkling sand, wiped out most of those original mansions. 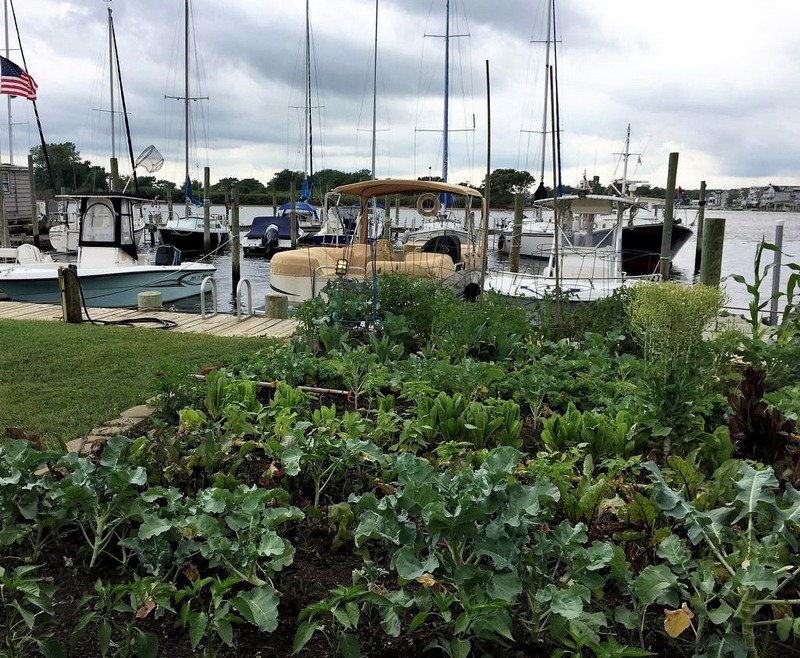 In their stead, a motley crew of townhomes, garden apartments and condominiums sprouted along the beach and river fronts. 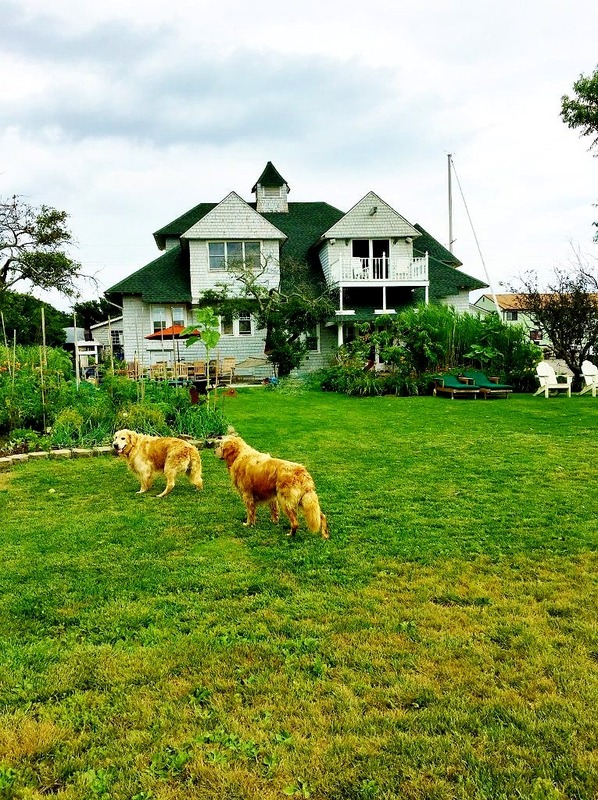 Fortunately, hidden from the main drag behind a pair of those nondescript multifamily units, one of the original structures is still standing, a lovely carriage house that is now home to the owners of the aptly named, Carriage House Marina. This beautiful building is a survivor–no mean feat considering it sits barely above sea level a stone’s throw from the river. 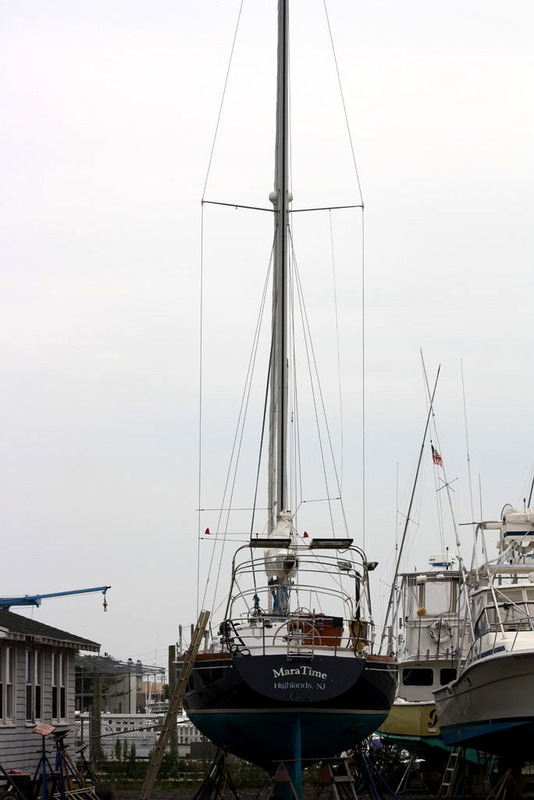 Nor’easters, and of course hurricanes are a constant threat–the latest was Sandy in 2012. Then, several feet of water flooded the multi-level interior, but you would never know it looking at it today. 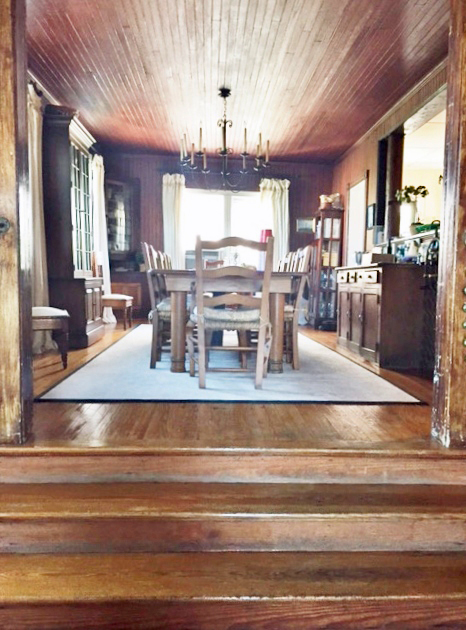 All the original paneling and woodwork, which had to be created by master boat builders, has the lustrous patina of furniture cared for by generations of fastidious housekeepers. 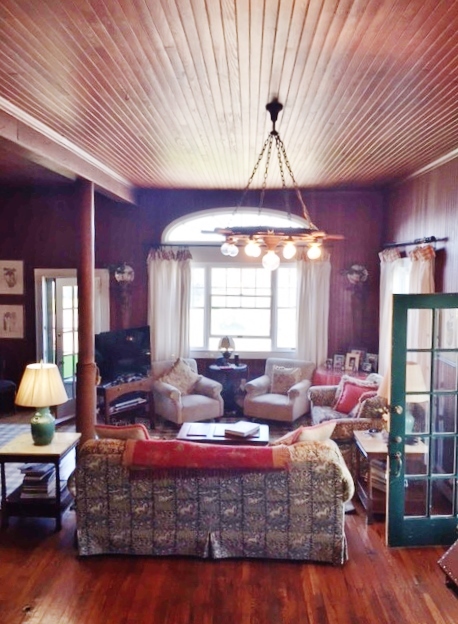 In fact, the interior makes you feel like you are aboard ship, sailing on a vintage schooner down the Shrewsbury River, not just sitting next to it! Seated at the massive dining room table you feel like the room should be rocking–although truthfully, given the owners’ penchant for entertaining I understand sometimes it does. The living room captures the feeling of a sea captain’s private quarters. 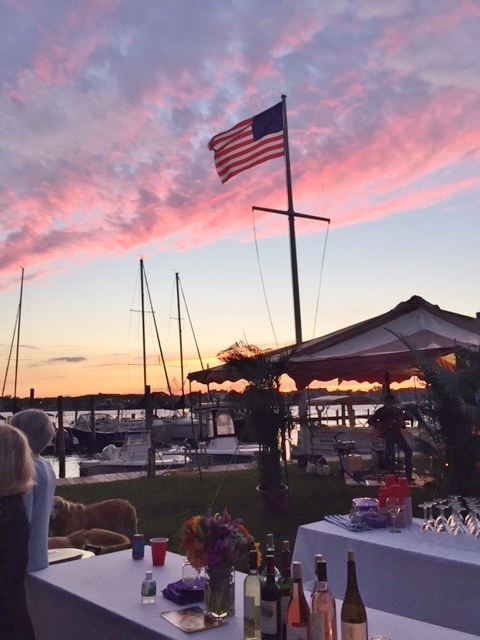 While the side yard is a parking lot–this is a working marina after all– there is a large front lawn that ends where the river starts. Flanked by daylilies and hydrangeas, and a huge border of what looks to be ornamentals, but is, in reality, a massive vegetable garden, it is the perfect spot for plunking down with a book on a sunny day–or to have a party! While any excuse for a party is a good one, one particular occasion is near and dear to me. 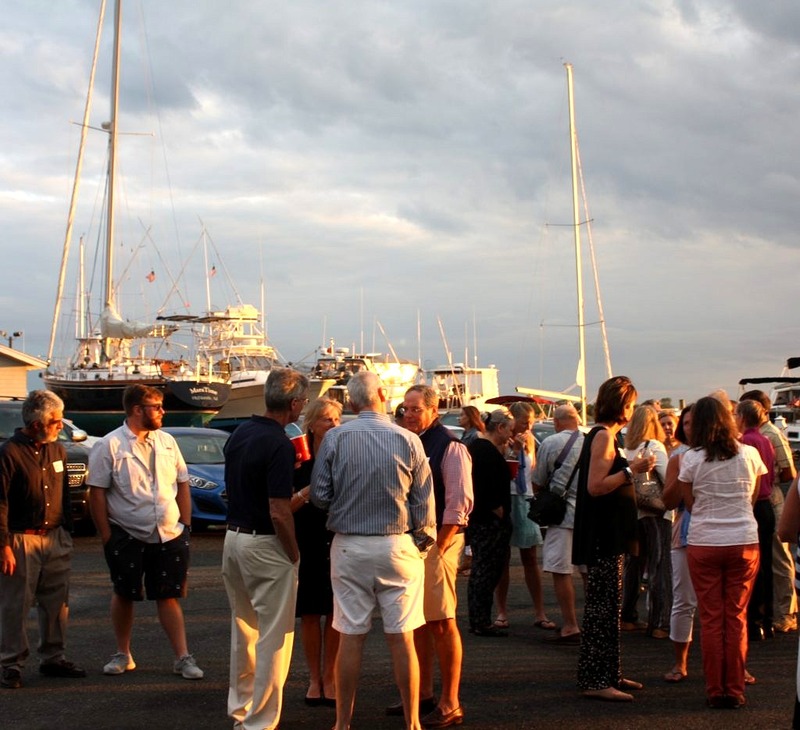 Every five years or so the owners (see photo below) host a reunion get-together for the husband’s Rumson Fair Haven High School class, of which, full disclosure, I am a member. (And no way am I giving up the year). 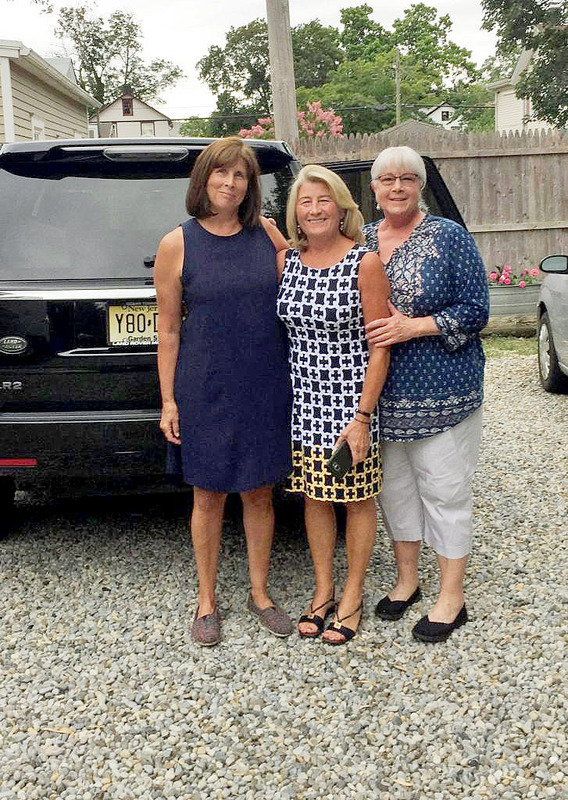 The party, which also serves as a fundraising dinner to support scholarships for college bound RFH seniors, is a team effort and our cohorts from all over the country make the journey back home to join in the fun. The tent belongs to the marina so they take care of putting that up. 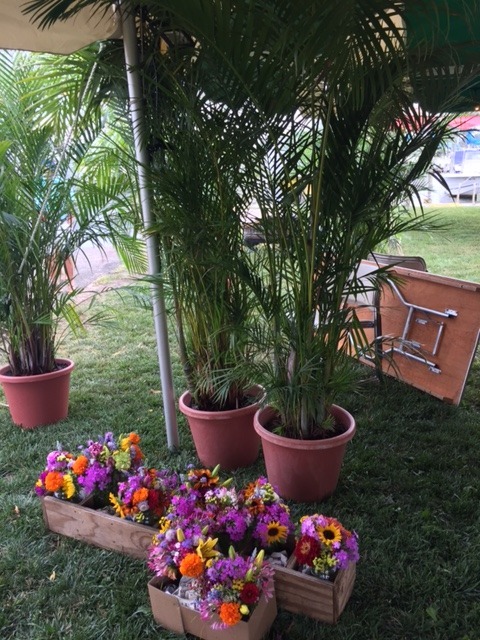 Then a gang of us always pitch in to set up the tables and pull it all together. This year was slightly more daunting as all our prep work took place during a nor’easter so high tides and strong winds made it a bit more challenging than usual. 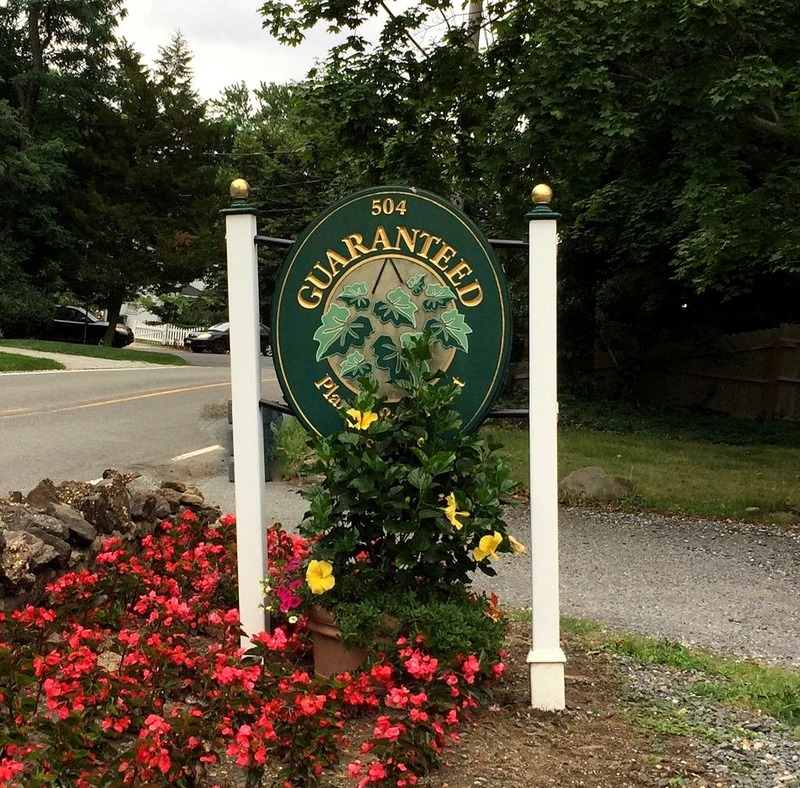 It certainly helps that another classmate and her husband own Guaranteed Plants & Florist in nearby Navesink. 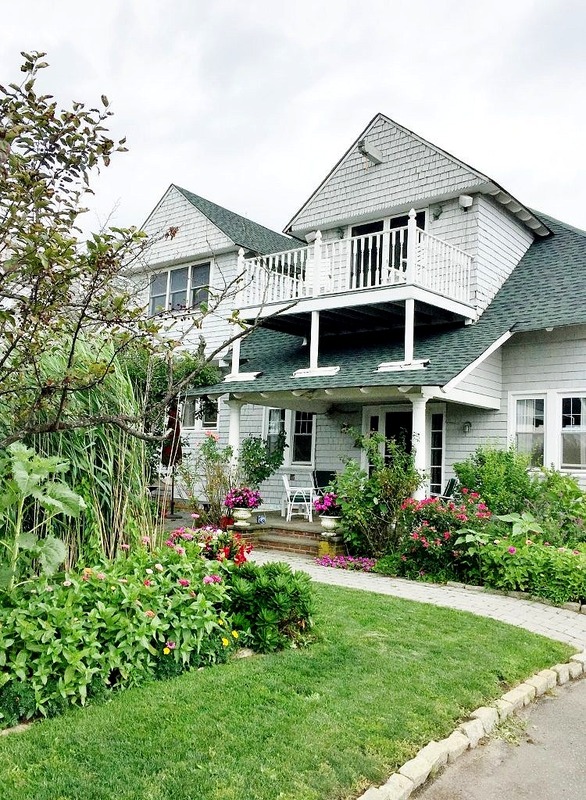 Their delightful nursery has been a must stop for garden lovers for more than forty years. With over 8500 square feet of greenhouse space, these horticultural wizards work magic every day. Our party would not be the same without them. Their experienced floral designers always make sure we have gorgeous flower arrangements on all the tables (we always do a sit-down dinner). 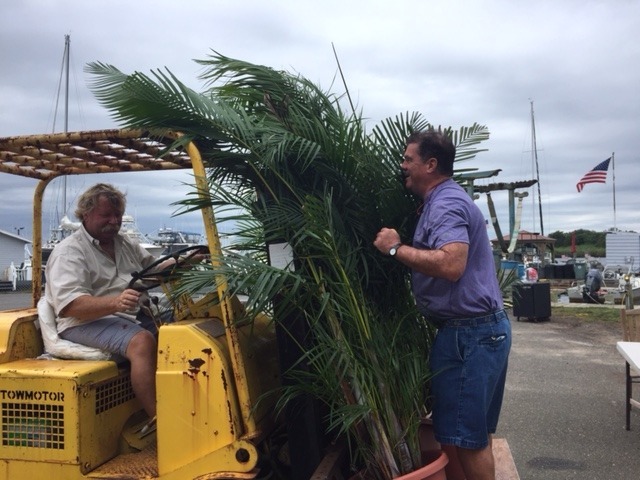 And they also schlep over these huge palms that we use to decorate the inside of the tent. Somehow it all comes together. 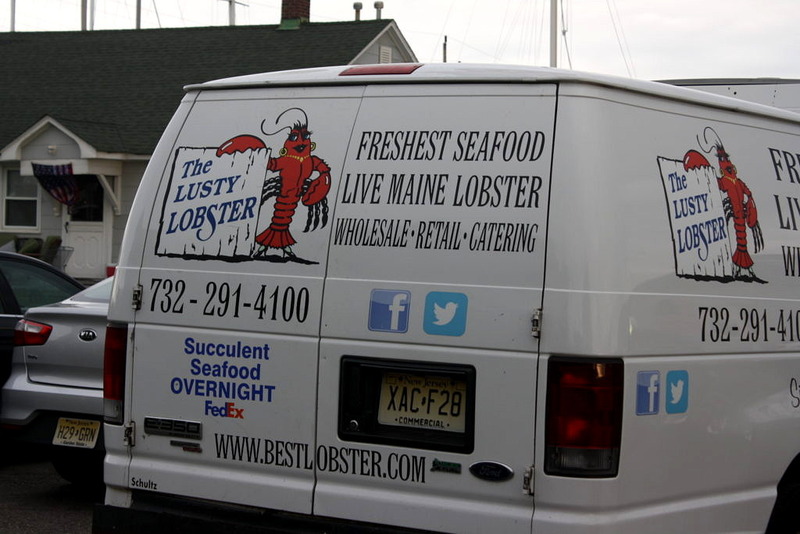 It doesn’t hurt that one of the owners of the fabulous Lusty Lobster–the wholesale and retail fish store in Highlands–was also in my class so he, thankfully, is in charge of catering. The food is always, simply, delicious. This year he served a grilled salmon that belied any thought of the Salmon Fatigue Syndrome I have been suffering lately. The fabulous sunset was a bonus and then it was time for a little old fashioned rock and roll with the Thom White Band. 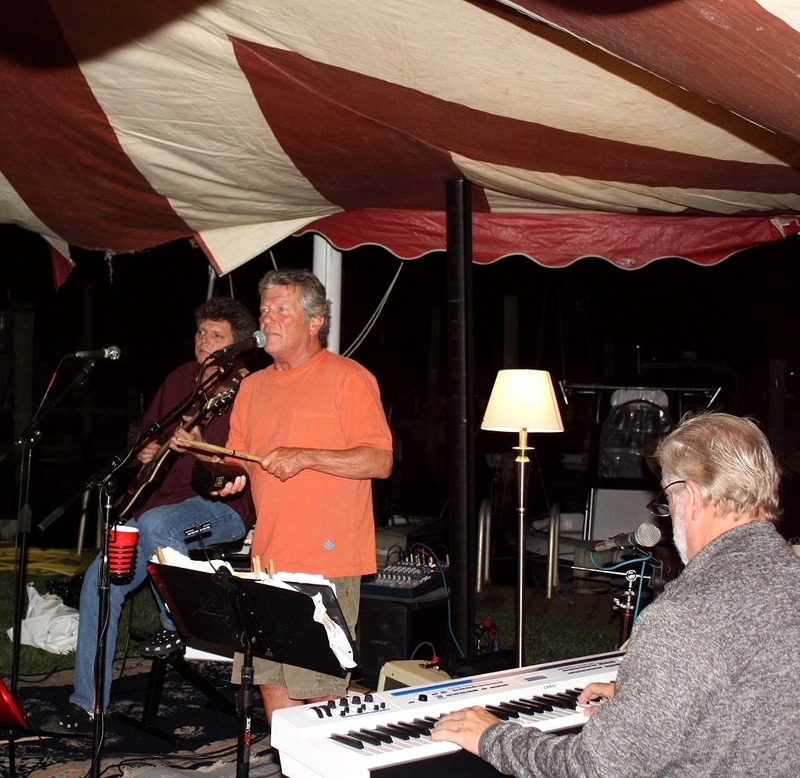 For us children of the seventies, a party is just not a party without live music. Thom also went to RFH–albeit a few years before us (although you would never know it by looking at him) and he and his fellow musicians are simply terrific! According to Doug (from Lusty Lobster), the only thing on the salmon that evening was salt, pepper, and extra virgin olive oil. Just apply all of the former liberally, then place on the grill skin side down. When grill marks appear and the skin gets crisp, turn over very carefully. Continue cooking until the salmon is opaque in the center. Garnish with lemon wedges and parsley and serve. I am definitely going to try this at home and will report back to you–it can’t be that easy! My sister Laurie made a fabulous baked salmon earlier this summer. She just put a whole salmon filet in a baking dish; topped it with a generous amount of sea salt, a substantial amount of brown sugar and lots of pats of butter, then cooked it at 400 degrees for about 20 minutes. It was fabulous but the clean up was a bit intense because all the brown sugar ends up crusted to the baking pan. But I bet you could do this on the grill in a disposable baking pan. Meanwhile, The New York Times’ Sam Sifton swears by a Dijon mustard brown sugar mix. And wisely lines his baking sheet with foil and uses portion sized salmon fillets that cook at 400 for about 12 minutes. This too could be done on the grill I bet. The good news is I am motivated to start cooking salmon again. Meanwhile, I can’t end this post without acknowledging Elise Hughes aka Lisey Baker on the far right, who took all these fabulous photos and Carol “Martha Stewart” Baird, (center) for pulling the decor together and keeping us on task. You guys are the best! Special thanks to everyone who took part in this event–we could not do it without you–and make sure you pencil in July 2022 for the next one!